An Iowa corn farmer hears voices prompting him to build a baseball field, search for a reclusive author, track down a former player who has become a doctor and bring back the ghost of former White Sox legend “Shoeless” Joe Jackson. Many subliminal messages in this movie that all gets answered in the end and the two message that is sent is second chances and true love. A perfect cast that exceeded expectations. It might not be a live action baseball film, It definitely hits home with the die hard baseball fan as all the events that take place in the movie are linked to the game’s past, present and what it will do for the future. Kevin Costner plays Ray Kinsella. A 36 year old Iowa corn farmer who’s life has seemingly hit a crossroads when the movie begins. Amy Madigan plays his free spirited, loving and supportive wife, Annie. Then there is Gabby Hoffman who plays his 5 year old daughter who views the events that take place in the movie on a par to the viewers. James Earl Jones plays Terrence Mann, the reclusive author Ray Seeks out. Terrence is loosely at the based on J.D. Sallinger. 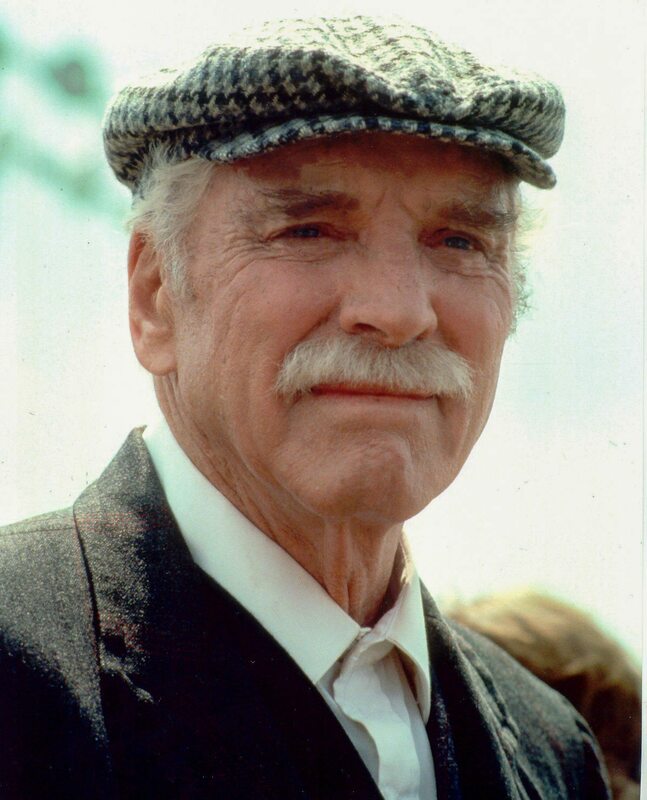 Burt Lancaster plays Doc Archibald “Moonlight” Graham. Frank Whaley plays the younger version of Graham. Finally there is Ray Liotta who plays the ghost of White Sox legend “Shoeless” Joe Jackson. The main criticisms of this movie are mainly the players that Joe brings back to the field are inaccurate with their real life counterparts and that the films somewhat main antagonist played by Timothy Busfield is not convincing enough to play the evil brother in law trying to shut down the field and save the farm. First off the film is a fantasy. It is mentioned at the very end when Ray and his father are discussing if there is a heaven and they conclude it is a place where dreams come true and that the field is a place in heaven where many get to fulfill their dreams. The real “Shoeless “Joe was quiet. Reportedly illiterate and not involved in any team activities off the field. In the field of dreams, he is portrayed as wise, a leader, and a mentor to the young moonlight Graham. Ray Liotta plays this role beautifully. His character clearly was taking full advantage of his second chance and true love which was baseball. The Terrence Mann Character’s true love is writing. He regrets not being able to write about baseball which also happens to be a love of his. He was too involved with the 1960’s and its controversies which forced him into seclusion in the 1980s. His second chance was being able to write about the legends at the field. He is one of the pivotal characters of the story. His scenes with Kevin Costner are priceless. Another pivotal character is Mark played by Timothy Busfied. He plays the somewhat antagonistic role of the film. he does not see the events taking place on the field of dreams until the very end. 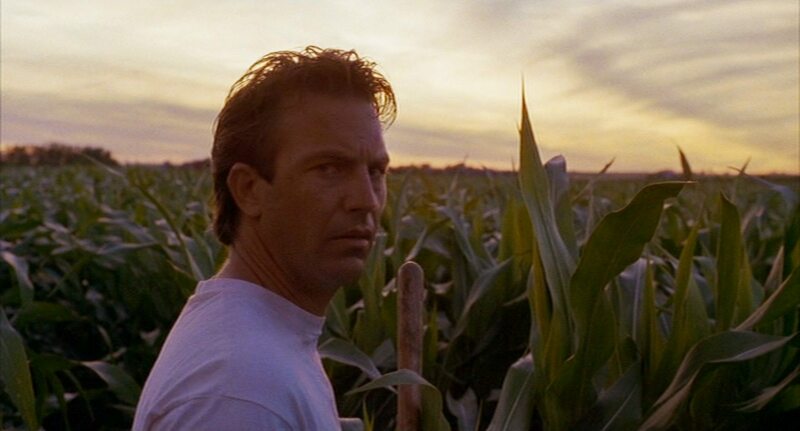 His main concern throughout the movie is keeping the farm and he sees the baseball field as a wasted investment cutting into Ray and Annie’s crop profit. After a near fatal accident involving Ray’s daughter Karin (Gabby Hoffmann), and the intervention of the films most defining Character Moonlight Graham (Whaley turning into Lancaster), Mark changes his mind and tells Ray and Annie to keep the field. Moonlight Graham originally was a minor league ball player. He got his chance to play right field in a major league game in the final game of the 1929 season. He retired afterward and moved to his hometown to become a doctor. A decision he made with some regret at the time, but in the end he never regretted it at all. When time alters so Ray could speak to Moonlight (Lancaster) in his final days in 1972, Ray offers him a chance to live his dream one more time to play on the field. Moonlights dream was to bat in the major leagues, which he never did. as he tells Ray that he enjoyed his life as a doctor as much as he enjoyed the game of baseball. Probably even more. On his way back to Iowa, Ray and Terrence pick up a young hitch hiking Archie Graham (Whaley) who tells Ray and Terrence he wants to be a traveling ball player. Once he says his name, his wish is immediately granted. His lone at bat in a game results in a sacrifice fly, which in baseball doesn’t count as an official at bat on the stats cards. When Karin nearly chokes to death after a fall, Archie (Whaley) hesitantly crosses the line that separates the dream field to the real world. He becomes Doc (Lancaster) and saves Ray’s daughter from choking to death. After Ray tells him that he can’t go back to playing, Doc assures him that it’s ok and even though he lived out his dream of playing in a big league game, he was meant to live out his true dream of being a doctor. He thanks Ray for the opportunity and disappears into the corn. From that point the first and final questions of the movie get answered. The answer is a simple father/son reunion. It is revealed at the beginning that Ray broke off ties with his father long ago. His father, John Kinsella, was a minor league catcher who never made it to the major leagues due to too many injuries. He retired early and started a family. It was explained that when he couldn’t make it to the bigs, he tried to get his son to do it for him. Naturally, Ray rebelled and started living the life his father would have disapproved of. John’s hero is Shoeless Joe Jackson. He is also a Yankees fan. Basically Ray grows up rooting for the Brooklyn Dodgers. He starts reading rebellious books written by Terrence Mann in the 1960’s. He Attends Berkley College, where he takes part in the extra curricular activities the college had to offer in the late 1960s instead of being an athlete like his father had hoped. The last thing he had said to his father was that he could never respect a man who’s hero was a criminal. Something that Ray would regret later on in life when he became a father himself. All of this is mentioned at the beginning and at various points throughout the film. A large part of it is during a conversation between Ray and Terrence on the drive back to Ray’s farm. We never really hear about John’s remorse or how he feels. He plays it off very subtle when he appears on screen for the first time towards the very end of the film. Dwier Brown who portrays John plays the part wonderfully. The exchange is suspenseful in a dramatic way. Ray knows it’s his father as a young man, but does his father know it’s his grown up son? Once it is revealed that there is a heaven and that’s where dreams come true then the long awaited father/son catch finally happens. That entire final scene always brings tears to my eyes. This film does not disappoint me at all. Many people out there either love it or hate it. I love it. The very end left me satisfied and very few questions to ask. 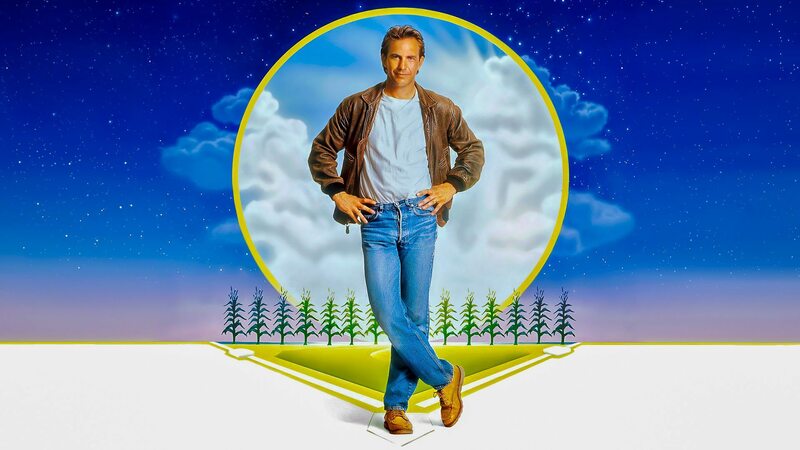 Posted in Commentary, Film, Sports and tagged Commentary, Derek Candela, Field Of Dreams, Iowa, Kevin Costner, Phil Alden Robinson, Ray Kinsella, Ray Liotta, Review, Shoeless Joe Jackson, The Main Frame, Trailer, Trailers.